Facebook announced a new partnership on Monday that makes it easy to live-stream certain video games on its site. The agreement with Blizzard Entertainment, which makes games like “Overwatch” and “World of Warcraft,” puts the social media site squarely in competition with Amazon’s video-game streaming service, Twitch, which has long been dominant in this space. 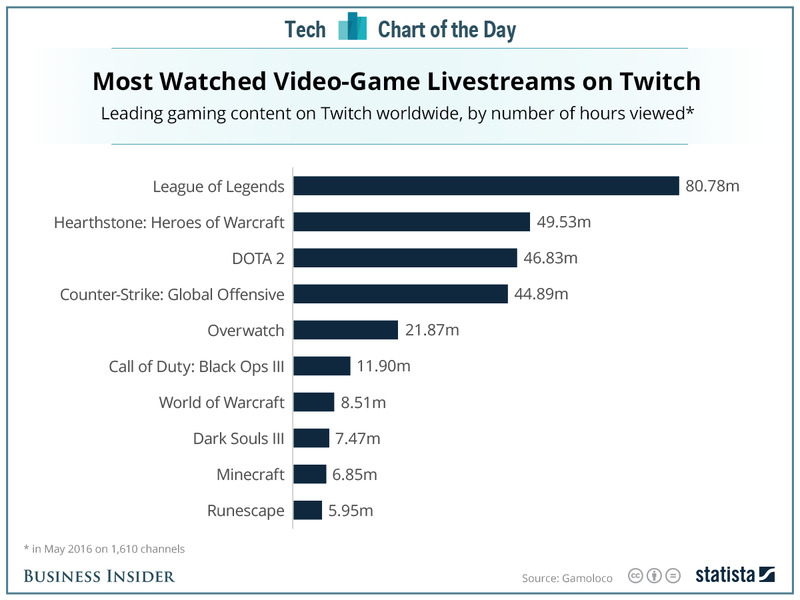 One factor behind Facebook’s decision to challenge Twitch likely has to do with the sheer scale of the platform’s viewership: People spent more than 277 million hours tuning into Twitch’s top games last month. 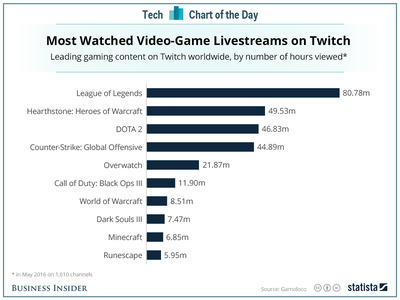 This chart by Statista, based on data from Gamoloco, shows that League of Legends, the top viewed game on Twitch, drew over 80 million hours of streaming in May. Users streamed the next three most popular games for over 40 million hours each last month as well. That’s a lot of hours watching someone else play video games — it’s no surprise that Facebook wants a share.